CE-Combo-30-Blockbuster Catholic DVD Sales Offer: Which Queen of Heaven, White Sepulcher Christianity, & Church On Haunted Hill Combination Sale This item is on sale. Combo-1230-DVD-Combination Offer -- DVD, New World Order Religion: The Great Global Apostate Church PLUS Outcome-Based Religion: Apostasy, Purpose, and the Paradigm Shift On CD This item is on sale. 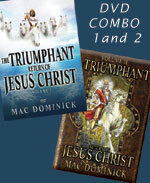 CE-Mac-Combo-010-Combo Offer - Triumphant Return of Jesus Christ I & II - Save Money This item is on sale. CE-Combo-HFA-COMBO OFFER: Best of Hope For America - 6 DVDs, over 11 hours of instruction This item is on sale. CE-COMBO-40-Countdown To Antichrist - Six Titles, 10 DVD's - Six Great Speakers - Save $70 This item is on sale. 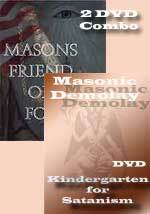 Combo-1227-DVD-DVD - Masons: Friend or Foe PLUS Demolay: Kindergarten For Satanism - Combination Offer This item is on sale. CE-DVD-COMBO-998-Freemasonry DVD Combination Package: Freemaonry Fatal In The First Degree Proves BAAL Worship + Masons In The Pulpit Shows What Happens When BAAL Is Allowed In the Pulpit - SAVE $22! There really is no spiritual danger in the first three degrees, right?' Former Mason, Bill Schnoebelen, answers this wrenching, heartfelt question very powerfully. Once viewing this video, you will never again believe that your loved one can safely pass through the first degree of Freemasonry! 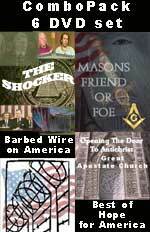 Now you know that any Masonic Mason is married to Baal! The same Baal so condemned by God in the Old Testament. How long do you think it will take for Holy Spirit God to write 'Ichabod' over your church door and leave for good if your Senior Pastor, your Deacons, Sunday School Teachers are secret Masons? CE-Mac-PRM-COMBO-Greatest Falling Away EVER! Book/DVD Combo Offer Saving You $15 This item is on sale. 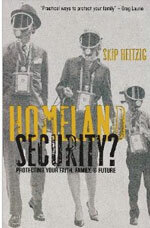 BL-978-0882707358 -Homeland Security This item is on sale. 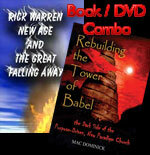 CE-MAC-029-COMBO-Triple Combination Offer - 2 Books on CD ROM PLUS Actual "Rebuilding Tower of Babel" Book - Save $20.00! This item is on sale. 2) 'Rebuilding The Tower of Babel' book - Shockingly, Rick Warren used the infamous Tower of Babel as his major symbol of his 2004 "40 Days of Community" program! For 2000 years, Christian preachers and teachers have properly understood that the "Tower of Babel" was man's supreme early effort to build a global government, economy and religion in direct opposition to the God of the Bible. The Tower of Babel was dedicated to the many gods of the Babylonian Religion, but the upper-most statute was to be the god, "Bel-Merodach"! Yet, Rick Warren used this symbol to represent his goal for his agenda to build a global community of churches! In the late 20th Century the Tower of Babel became the symbol of the new European Union, thus becoming the major icon of the Luciferian New World Order. You save $20.00 by buying this Combination Offer! CE-Combo-Mac-23-Unique Witchcraft Combination Offer: Witchcraft DVD + 'Rebuilding Tower of Babel' Book - Save $15.00 This item is on sale. This unique combination offer not only saves you $11 but makes sense because both the DVD and the Book speak directly to Witchcraft, and both have the same author, Mac Dominick of Cutting Edge! "Rebuilding Tower of Babel" book reveals that the ultimate purpose of Rick Warren's "Purpose Driven Church" is to rebuild the Tower of Babel, a most powerful symbol of Witchcraft. Dominick demonstrates that this spiritual goal of Rebuilding a Tower of Babel in the heart of every member is a very real and very threatening reality! 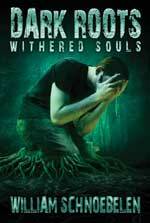 If you are a member of a Purpose Driven or Seeker-Sensitive Church, you need this book to open your eyes to the principles of Witchcraft and other occult philosophies which are integrated into the teachings of this Purpose Driven Movement.